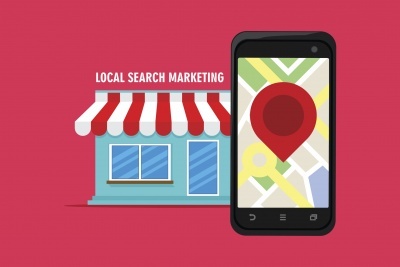 Local SEO is all about local business. If you operate exclusively online, local probably isn’t a priority to you, but if you run a small business and your clientele live in the local area, it’s important to target local SEO. Most people use search engines to find local businesses. For example, if I need an electrician and I don’t already know one, the first thing I do is perform a quick search in Google. Statistics show that local searches are more likely to lead to purchases than non-local searches. This means any traffic you gain from a local search is motivated, which is good news for your business! But none of this matters if your website isn’t ranking well for local searches, so here are some tips to help you achieve better results. Google My Business is very important for local SEO. This allows your business to show up on Google Maps, so if someone searches for a business in your niche, they will see you on the map. To manage how your business appears in Google Maps, make sure you appear in as many local directories as possible. You also need to check that your details are consistent across all platforms, including Facebook and other social media sites. Local people want to see local content when they search for a business. For example, if I need a plumber in York, I am unlikely to be interested in visiting a site that offers plumbing services in London. It’s important to tailor your content for a local audience. You can do this by using local keywords in your website content and including personalised content that is relevant to local audiences. One way to do this is to write a blog. Blog posts are the ideal vehicle for local SEO content. Use your blog to discuss local issues, such as flooding, community news, and anything else that’s relevant to your niche and audience. Share your local content online via social media and give your business a bigger local boost. Readers are more likely to revisit and more importantly review your website if they feel it’s relevant to them. Link building is always important for SEO, but for local SEO you need to concentrate on building links to community websites and local resources. This shows you are a core part of the community, which is an important factor when building local relationships. Try joining local business networking groups, directories, or your local Chamber of Commerce. These links will all help your cause. It takes time to see results with SEO, but if you follow the above tips, your business will reap the rewards.